Cola Crock Pot Ham - Recipes That Crock! 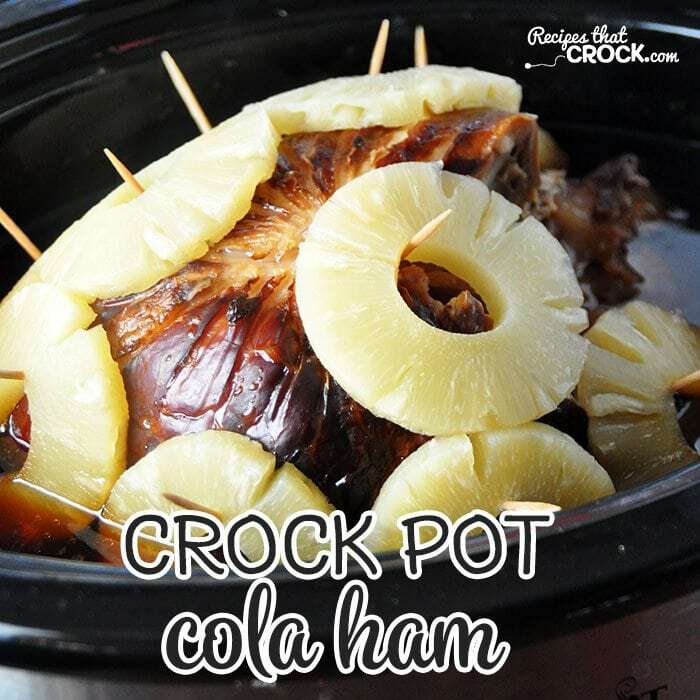 If you are looking for a great ham recipe that is super easy, check out this Cola Crock Pot Ham! Michael’s Uncle Mark gave me the recipe, and we were in love from the first bite! Michael’s Aunt Mary and Uncle Mark were in town and needed a place to stay while we had some family things going on. As always, people are really curious about what it is that I do. After I explained that I cook recipes to see if they are yummy and then put them on here for you guys if they pass the test, Mark was telling me about a great way that he makes ham. That worked out perfectly since Michael bought FIVE hams for $25! I was needing a new recipe to try out for you guys! And that my friends is how we got Cola Crock Pot Ham. So this is pretty easy. You do have to heat your coke and brown sugar on the stove until the sugar is almost all the way dissolved, but that is about as hard as it gets. 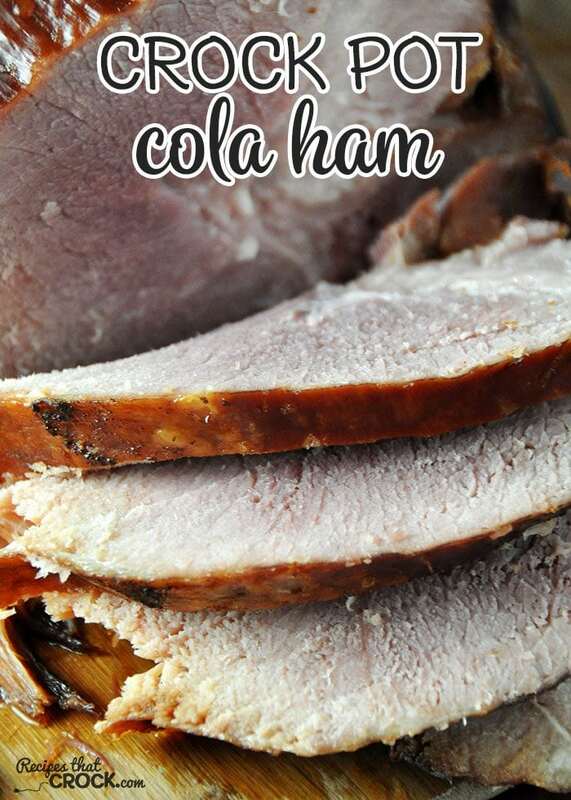 This Cola Crock Pot Ham is super easy and has an amazing flavor! For this delicious Cola Crock Pot Ham, I used my Travel Crock Pot. I actually took this ham to our small group (they gave it rave reviews! ), so being able to secure the lid was a huge bonus! You will just need to make sure that your ham can fit in your crock pot with the lid on securely. This is how I do my hams all the time anyway….only on very very low heat covered in oven. 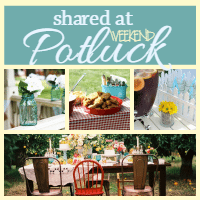 They are always delicious….am anxious to try in crockpot. Cola is a tenderizer… using a crock pot keeps the meat nice and juicy. The fattiness depends on the ham chosen of course 😉 Enjoy! I’m still in awe over 5 ham’s for $25. Here in Canada we would pay more than that for a 7 lb ham like around $35 to $40 each. We do have it a little better around here. The original prices on the hams were between $12-$23, but my husband saw them on their “Sell by Date” about a half hour before the store closed, so he made a deal with the manager that he would take all five hams for $5 a piece! He does this ALL the time! Our freezer is full of bargain meat! It is awesome! Enjoy! I don’t see any reason this wouldn’t work with a sliced bone in ham. What do you think? I think it should work! Let me know what you think after you try it! Enjoy! Sounds great. Going to get a ham and check this out. I know it will be great! It is delicious! I hope you enjoy it as much as we do! Enjoy!